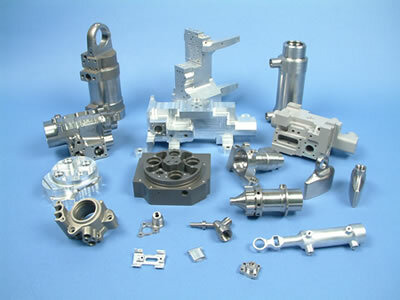 Aerocomponents are specialists in machining ecomponents for the aerospace industry. Holding both AS 9100 and ISO 9001 accreditations, utilising the latest in machining and CAD CAM technology with full online CMM inspection facilities we have been vested with the manufacture of many critical engine and undercarriage components for the latest aircraft contracts. Further, with the advent of space technology and exploration we are more frequently being involved with satelite components such as cryogenic cooling & propulsion systems. Based in Reading, Berkshire, just off of junction 10 of the M4, Aerocomponents Ltd undertake precision CNC machining specialising in the aerospace market as well as defence, Formula 1, communications, electronics and the medical sectors. Working from state of the art 9625ft2 facilities (with an extra 3203ft2 mezzanine area) we operate 28 machining centers, including 10 CNC Hurco vertical mills and 8 CNC lathes combined with the latest solid modeling CAD/CAM capability and CNC inspection facilities. As a lean and dynamic company, both ISO 9001 and AS 9100 accredited company we are able to offer a quick turn around and competitive quotations. Many of our customers are top names in the aerospace industry including GE Aviation (formerly Smiths Aerospace, Dowty) Ultra Electronics, Honeywell Hymatic, Cranfield Aerospace & Marotta as well as Xtrac, Force India, Williams & TRL from the motorsports market. Our key strengths are our flexibility and quick turn around, low costs, fully scalable manufacturing environment, 24/7 operation and our years of experience, over 55. If you have a requirement for high quality precision engineering and would like an informal chat, please feel free to call.